In Southern Ontario, the city of Barrie is consistently being noticed as an “investment opportunity” with buyers that are flocking to invest in Real Estate. Recently Barrie was ranked only behind Waterloo, Kitchener and Hamilton by the Real Estate investment Network. The “REIN” cites the annexation of Innisfil as a future engine that will drive development in the area. Waterfront Parks – Barrie has multiple parks spread throughout the city. Numerous parks have beaches and picnic areas for residents. Buses – Although slow, Barrie’s buses have lots of room for riders who don’t want to drive their cars. Libraries – Two large libraries provide book lending, research books and video loans to residents. Many out of town property investors are buying townhouses and “rent to own properties” in Barrie, due to its close proximity to Toronto and the affordable prices that make properties attractive to purchasers. 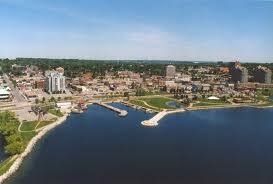 Barrie currently has a population of over 143,000 and has grown 5.7% since 2006. The City takes in over 100 sq km of land and has a large networks of parks, many of which are on the shores of Kempenfelt Bay. Barrie is currently in the process of extending it park land along Lakeshore Drive which hopefully will improve the enjoyment of the water by its citizens. The Barrie waterfront is the City’s greatest asset and attraction, characterized by outstanding natural features, vibrant and diverse public spaces and high-quality recreational facilities. It is a prized and shared resource for recreation, economic development, events and programming on the shores of Kempenfelt Bay. Currently Barrie’s inventory of homes available for sale is low compared to previous years creating a “sellers market” which has resulted in many properties being sold above their asking price. Some Realtor’s estimate that the average home price in Barrie has already risen over 9% in 2015. Many seniors in Toronto have chosen Barrie as their retirement location, cashing in on a hot real estate market in Toronto and purchasing property in the Barrie and surrounding areas. Mortgage rates are also part of the reason that Real Estate is experiencing substantial growth. Low rates are allowing people, such as first time home buyers, to invest in their first home at an affordable cost. One thing that has been consistent over the years, the increasing value of Real Estate, even when there has been downward dips in housing prices, they have always rebounded regaining and surpassing previous highs. Many people are investing in property as a hedge against inflation. They realize that just leaving money in a bank will eventually deteriorate the value of their investment’ as inflation steadily eats away at its value. When purchasing an investment property you need the services of a Professional Home Inspector. The Barrie Home Inspector, has been inspecting homes for over 10 years and is a Certified Building Code Official with the Ontario Building Officials Association. Roger is also a Real Estate investor with both Commercial and Residential investments, which allows you to benefit from his experience and expertise. Free Thermal Imaging scan of your home is also included with every property inspection. The Barrie Home inspector can give you “Peace of Mind” when making your next purchase. When buying a home with a Wood Burning Appliance such as Fireplace or Wood Stove, you insurance company will most likely require an inspection by a WETT Certified Inspector. Barrie WETT Inspections provides Site Basic WETT Inspections to Fireplaces, Wood Stoves and Pellet Stoves. Call Roger today at 705-795-8255. Inspection Report completed for you at time of inspection.